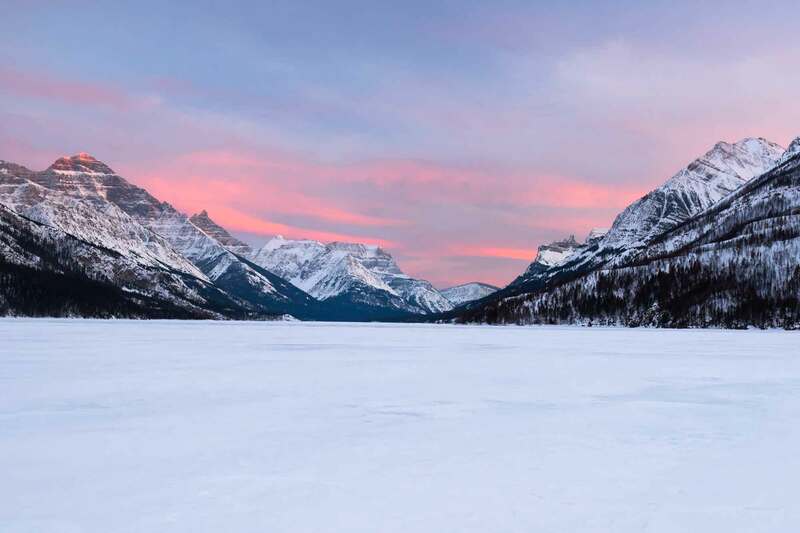 Waterton Glacier Suites provides everything you need for the perfect mountain getaway right in the heart of Waterton Lakes National Park in Alberta, CANADA. This is one of the few Waterton hotels that is open all year round in the Waterton Lakes National Park in Alberta, CANADA. Surrounded by the mountains of Waterton Lakes National Park, this all-suite hotel is less than 5 minutes from the Waterton Lakes Golf Course. It offers suites with spa bathtubs. Most suites offer lovely view of the mountains with a nice sitting area outside. Recent upgrades of this hotel includes new flooring, wall painting with modern pictures and linens. This family owned and operated boutique hotel is the best kept secret in the Waterton village and offers the most friendly guest service. 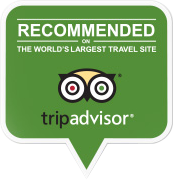 Read the Waterton Glacier Suites Reviews! 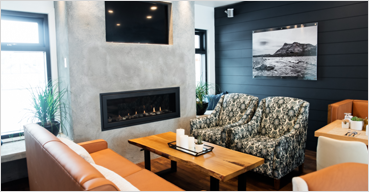 All the hotel suites at Waterton Glacier Suites are furnished with air conditioning, fireplace and balcony. Each couple/family friendly hotel suite also comes with cable TV, a DVD player, great high-speed broadband Free WiFi as well as a refrigerator, coffee/tea maker, iron and ironing board and complimentary cribs/infant beds. Free parking is also available; however, most people prefer to walk as this boutique hotel is within walking distance of everything in the town of Waterton Village. Other nearby Waterton attractions include, Waterton Shoreline Cruises is a 5 minute walk from Glacier Suites Waterton. Cameron Falls is a 10 minute walk from the hotel. The hotel property is centrally located in the town site yet it is tucked away in a peaceful and tranquil setting where you are bound to watch a deer or other animals grazing from your patio door. If you are looking for a hotel that provides a peaceful, nature's experience. The Waterton Glacier Suites will deliver on all of those criteria in a rustic contemporary fashion. Give us a call at 403-859-2004 or call toll free (within Canada & USA) at +1-866-621-3330. Rated for the best value in Waterton Park by many hotel booking sites, we are sure that our guests will get more value for their money when compared to other hotel and motel properties in the city/town of Waterton Park/Village in Alberta, CANADA. 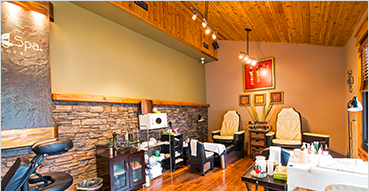 One of the many services that our guests can enjoy at our sister hotel, the Bayshore Inn is access to spa services. Come and experience the beauty and adventure that Waterton has to offer with one of our special packages. 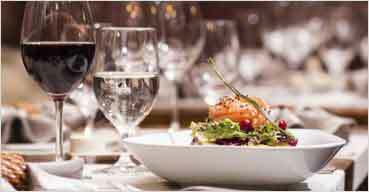 Enjoy some downtime as you wine and dine to the best selection of world-class Italian cuisine at our newest, most talked about and highly reviewed year round restaurant - Red Rock Trattoria.